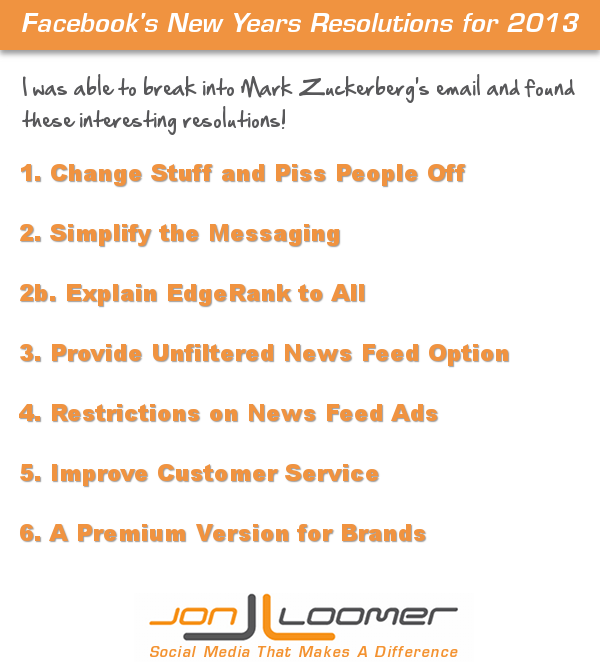 I was able to break into Mark Zuckerberg’s email and found these New Years resolutions for 2013. Pretty interesting stuff! 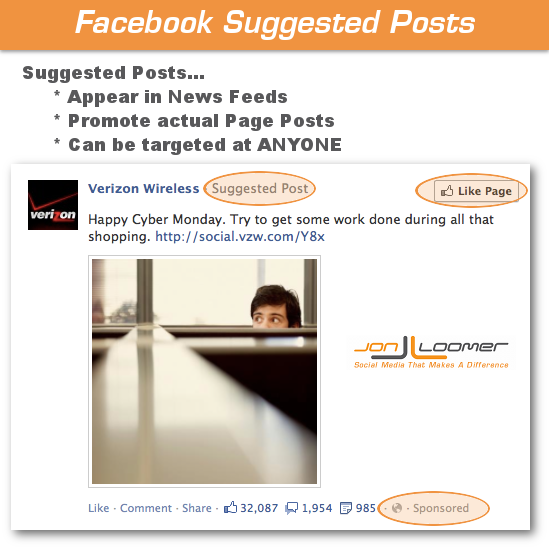 Select Facebook advertisers now have the ability to create Suggested Posts ads that go into News Feeds of users without any connection.